I have missed the wardrobe. I remember walking into every closet I saw hoping against hope that the next step would transport me to Narnia. Narnia. Where I would be a King and enjoy the beauty of the land and the friendship of a fierce and powerful lion. Little did I know that the wardrobe was simply my phone. Let me explain. My mom read me the entire Chronicles of Narnia series to me. Twice. I would sit transfixed, crayons in hand, and allow my imagination to spill onto the large sheet of paper in front of me. There’s a passage in the book when the professor tells the children, upon their return from Narnia, that they will return one day when they least expect it. The same was true for me. My books, still home with my parents, probably covered by dust and memory, were the wardrobe – but there are other ways to Narnia. 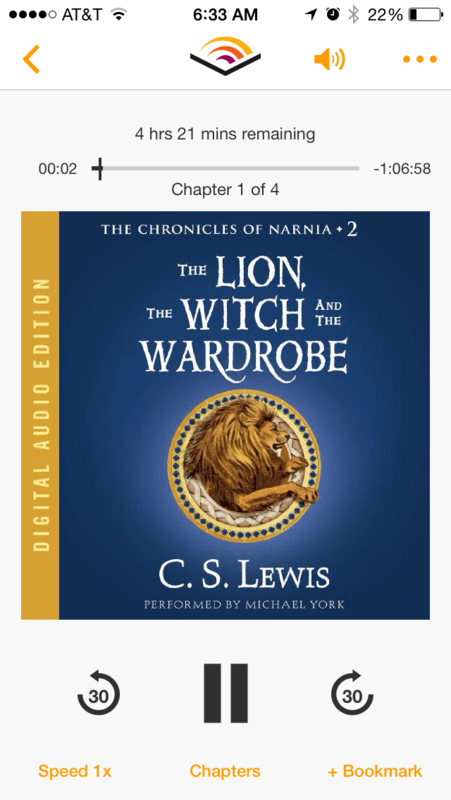 And when my mom gifted my daughter The Lion, The Witch, and The Wardrobe on audible – one of those portals opened. And I was back in Narnia. With my daughter. Together we experienced the kindness of the Badgers, the wickedness of the White Witch, and the strength and love of the Lion. It got me thinking that maybe, just maybe, our childhood is fluid. Maybe we can stick a foot, a leg, a memory back into that space that occupies all the wonder and discovery we had when we were young. I know I’m not supposed to look for ways back into Narnia. I know I’m not supposed to talk about it, but I can’t help it. And I hope, dear friend, that you find your way there as well.